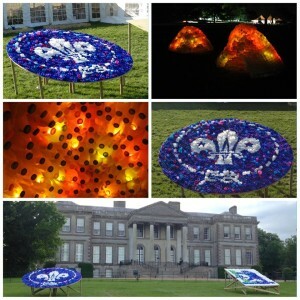 The West Warwickshire Scouts had a great time at Get In 2015 held at Ragley Hall. 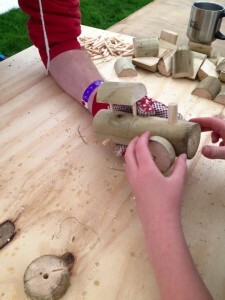 The fantastic “Make It” Zone was a great success and the scouts experienced new adventures, learnt new things, made new friends whilst having a fun time!! 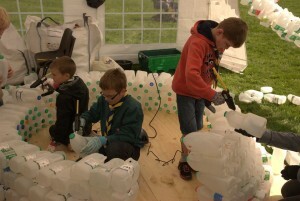 Great weather, 4500 scouts, 1000’s of plastic milk bottles and caps (in fact, bottles arrived by the trailer loads), Tec 305-12 glue guns and boxes of Tecbond 261-12-300 flexible glue sticks = fantastic milk bottle Igloo’s !!! 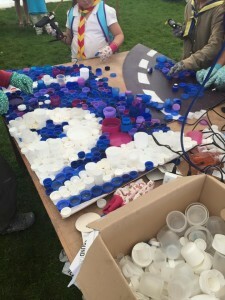 Tecbond 261-12 300 is a flexible all round general purpose adhesive for bonding plastics, wood and light gauge metals and was the chosen grade to build the Igloo’s and other gluing projects. 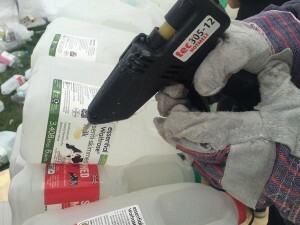 Applied with Tec 305-12 glue guns, Tecbond 261-12-300 adhesive was used to bond several gluing projects over the weekend. 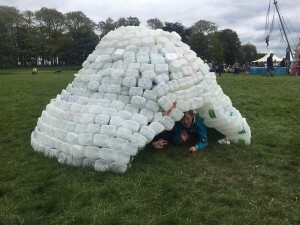 Glue plastic milk bottles to themselves to make the igloo’s – the bottles themselves were a mixture of LDPE (low density polyethylene) and HDPE (high density polyethylene) bonded together by using Tecbond 261-12-300 hot melt adhesive. 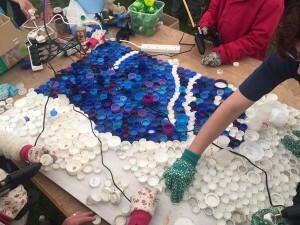 Demanding applications need a glue that performs ! Please note: Although Tecbond 261 hot melt adhesive has been used for an external application it is not general recommended for exterior use. The scouts contacted ourselves and we discussed their requirements and with the application having a short exterior life we suggested Tecbond 261. If this project was long term exterior and needed to resist the elements we would have suggested an alternative grade. If you plan to use hot melt adhesive for an external application please talk to us first to discuss gluing options.